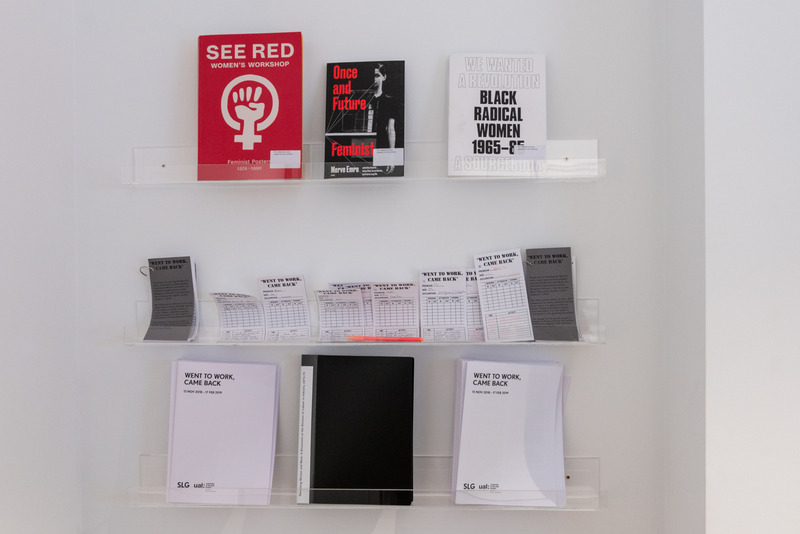 For their final projects, a group of our graduating MA Culture, Criticism and Curation students presented Went to work, came back at the South London Gallery (SLG). Working in collaboration with SLG’s REcreative Editorial Board, the project considered equality issues around representation, gender and work. Went to work, came back was inspired by the 1975 exhibition Women and Work: A Document on the Division of Labour in Industry 1973-75 (Women and Work) by artists Margaret Harrison, Kay Hunt and Mary Kelly. Here, student curator Dorothea Lam talks us through their archive display and accompanying events. Went to work, came back highlighted the contemporary relevance of gender and equal rights issues, raised by Women and Work. 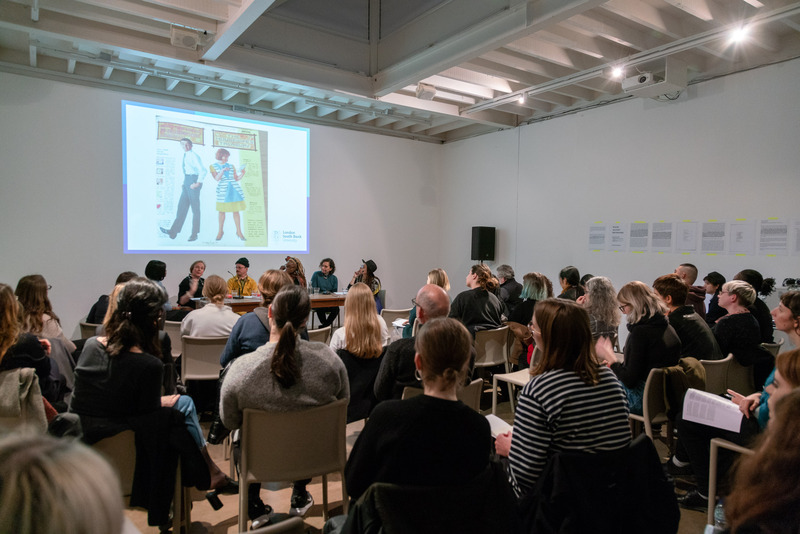 It comprises an archive display, Revisiting Women and Work: A Document on the Division of Labour and Industry 1973-75, which provides historical context for the original SLG exhibition; a workshop focusing on parenting as a job led by artist Andrea Francke and a panel discussion exploring historical and contemporary art and activism in relation to equal rights and gender politics. 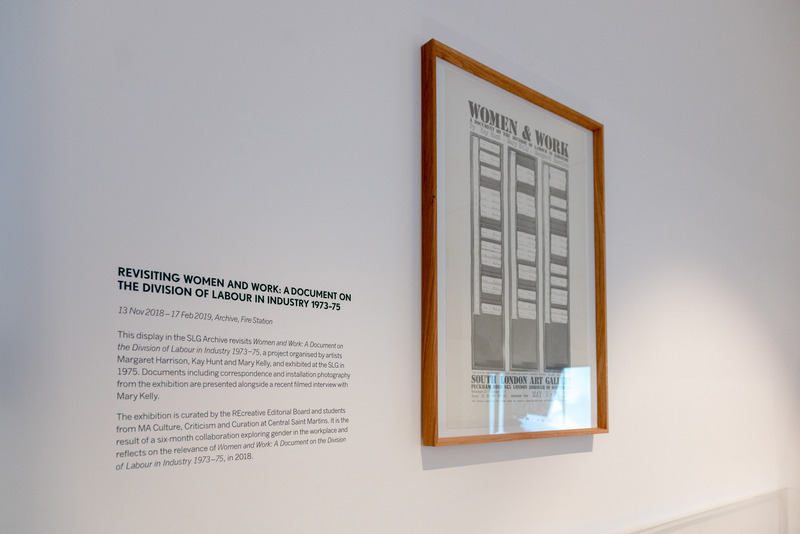 As a group, we decided to reflect on Women and Work in particular because we were inspired by the topics addressed in the exhibition: gender equality, feminism and equal pay. We wanted to get in touch with the original artists and reflect on the difference in approaches towards equal pay between the 1970s and nowadays. The workshop, led by artist Andrea Francke, explored what the terms "women" and "work" mean to us today – the different ways in which their definitions are understood and constructed. Workshop participants contributed their own experiences and referred to examples and historical analysis from Black British Feminism, womanism, International Wages for Housework Campaign, the welfare rights movement, Feminismo Comunitario, queer theory, Fugitive Feminism, among others. In addition to the workshop, the panel discussion – with contributions from historian Dr Caitríona Beaumont, curator E-J Scott and artists Adelaide Damoah and Andrea Francke – explored how artistic, activist and curatorial practices could impact gender equality in the workplace and in a wider social context. It was chaired by MA Culture, Criticism and Curation students and the REcreative Editorial Board, a group of young artists and curators who produce content for recreativeuk.com. Working on the panel discussion was a precious experience. We worked closely with each guest to understand their perspectives which helped us build a structure for the panel discussion session as a whole. The archive display, Revisiting Women and Work: A Document on the Division of Labour in Industry 1973-75, features documents from the 1975 exhibition, including correspondence and installation photography from the exhibition. These are presented alongside excerpts from a recent filmed interview with Mary Kelly, conducted and produced by SLG’s REcreative Editorial Board and MA Culture, Criticism and Curation students. Kelly reflects on the making of Women and Work and the intellectual and political environment at the time, particularly her involvement in the women’s liberation movement and the Artists’ Union in the UK in the 1970s. Highlighting materials from the South London Gallery’s archive, the items on display characterise the energy and determination of Hunt’s, Harrison’s and Kelly’s efforts to expose income disparities between male and female factory workers at a metal box factory in Bermondsey in light of the implementation of the 1970 Equal Pay Act. 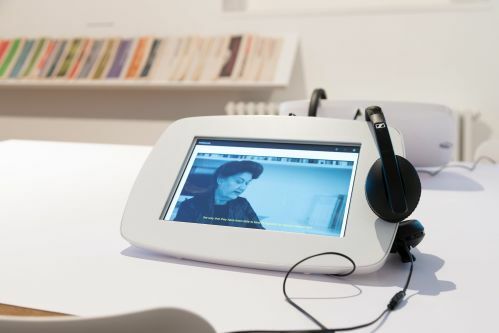 The materials in the display were selected as a snapshot of the 1975 exhibition. These include the press release and private view invitation, photographs of the installation and correspondence between visitors and SLG. The display is also accompanied by reviews, highlighting how the exhibition was critically received at the time. Digital copies of additional installation views from the SLG archive are available via slideshow on the large television screen parallel to the display case. Visitors were invited to respond to the display by completing a punch card. All punch cards will form part of the project archive Revisiting Women and Work: A Document on the Division of Labour in Industry 1973-75 in 2018. 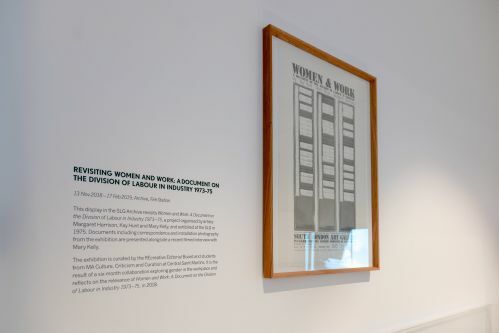 Revisiting Women and Work: A Document on the Division of Labour in Industry 1973–75 was on display in the SLG Archive Room at the Fire Station, South London Gallery, until 17 February 2019. Went to work, came back was curated by Victoire Barbin Perron, Jane Haack, Dorothea Lam, Lucía Montoya Muñoz, Henrietta Scrine, Vanessa M. Spiridellis, Apple Wu and Emily Zhou. Find out more about the MA Culture, Criticism and Curation Final Projects series.